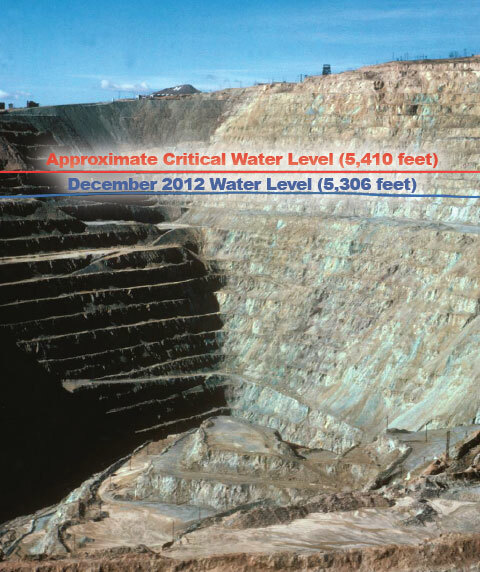 The 2013 print edition of PitWatch included the following photo from the Montana Bureau of Mines & Geology (MBMG), intended to show the current water level relative to the Critical Water Level. The water level of the Berkeley Pit in 2012, compared to the Critical Water Level for the Berkeley Pit system. Some PitWatch readers asked for a version of this image that used a current photo of the Berkeley water level, and MBMG created this new image to better illustrate the current and critical levels. 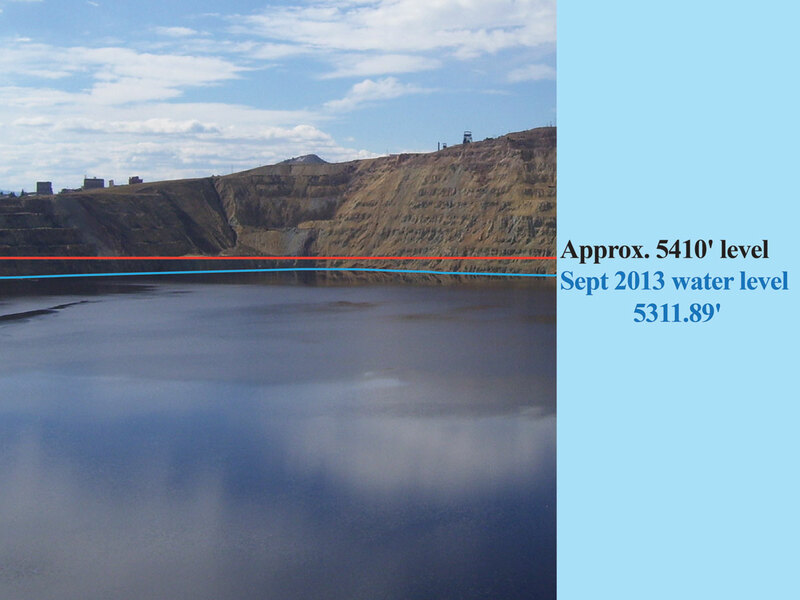 The water level in the Berkeley Pit in 2013, compared to the Critical Water Level. Current projections show that the water level in one of the monitoring compliance points around the Pit, such as the Pilot Butte or Anselmo mine shafts, will reach the critical level around 2023, triggering pumping-and-treating of Pit water to maintain its level below the critical point. Photo by Ted Duaime of the Montana Department of Mines & Geology. Under the management plan for the Berkeley Pit, the water level in the Pit itself will never reach that critical level. Because water levels in some of the compliance monitoring points around the Pit are consistently higher than the level in the Pit itself, it is extremely likely that water at one of those monitoring points (such as the Pilot Butte or Anselmo mine shafts) will reach the critical level while the Berkeley Pit water level is still several feet below it. 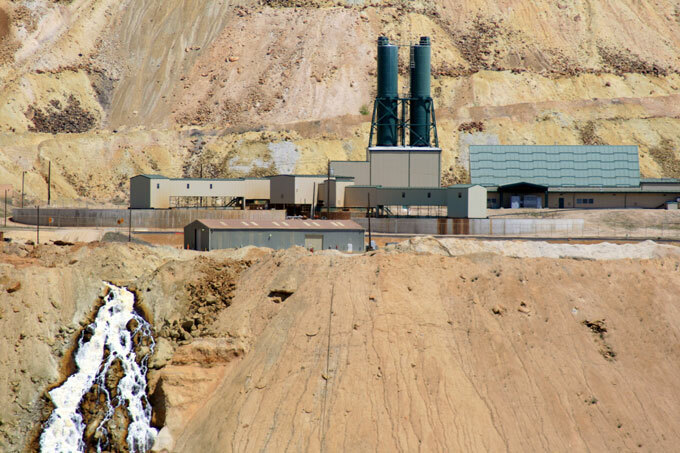 When the water level at any compliance point reaches the critical level (current projections put this time at 2023), pumping-and-treating of Berkeley Pit water will begin, maintaining the level in the Pit below the critical level.